Samsung Germany has just posted a teaser video confirming the launch date of the next Galaxy S7 Edge Olympic Edition, July 7th according to the video. Samsung is a major sponsor of the Rio 2016 Olympics and the limited edition variant of the Galaxy S7 to celebrate the upcoming Rio 2016 Summer Olympics, which will kick off from August 5th in Rio de Janeiro, Brazil. The Samsung Galaxy S7 Edge Olympic Edition is expected to have the same specifications as the Galaxy S7 Edge, however it will be customised with the Olympics-themed design. 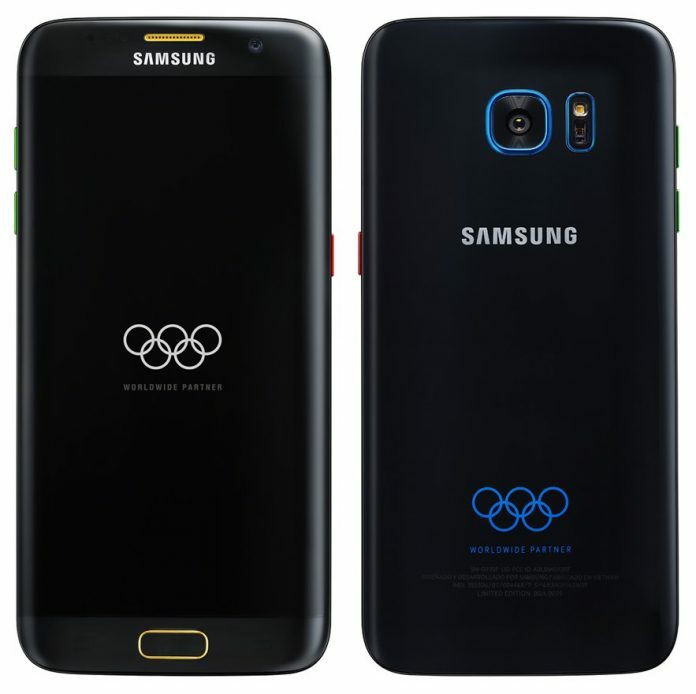 Featuring a black body design with the Olympics logo at the back panel of the device. Some integrated apps within Olympics-themed design are also expected to help buyers experience the Rio 2016 Olympics games. As of now it is not known which market will get the limited edition handset first. However, as for how much the device will cost, it is expected to be $50 – $100 more than the standard Galaxy S7 edge model, which is currently retailing for $780. To stay up to date with the latest news about the forthcoming Samsung Galaxy S7 Edge Olympic Edition, make sure you subscribe to our free newsletter and follow us on Facebook and Twitter.